• The Law of Attraction presents the powerful basics of the original Teachings of Abraham®. 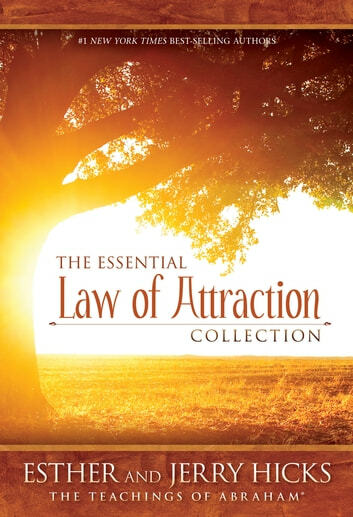 You’ve most likely heard the saying "Like attracts like," and although the Law of Attraction has been alluded to by some of the greatest teachers in history, it has never been explained in as clear and practical terms as it is in these pages. • Money, and the Law of Attraction shines a spotlight on two subjects troubling many people today: money and physical health. This book has been written to deliberately align you with the most powerful law in the universe—the Law of Attraction—so that you can make it work specifically for you, no matter what your life experience may be. • The Vortex will help you understand every relationship you are currently involved in or have ever experienced. It uncovers a myriad of false premises that are at the heart of every uncomfortable relationship issue, and guides you to a clear understanding of the creative Vortex that has already assembled the relationships that you have desired.